I can definitively say that this year’s year end album post is much harder than last year’s. I listened to more music and there were quite a few albums I didn’t even get to that I wanted to. It took weeks of listening and re-listening to get the list below but I’m pretty happy with what I ended up with. So without further ado, here are my favorite albums of 2014. This album made it onto this list at the last minute, as in, while I was thinking about where I was placing other albums I was finally listening to it. I enjoyed the self-titled EP released by Zac Farro and Jason Clark and the atmospheric videos they released with it back in 2012. 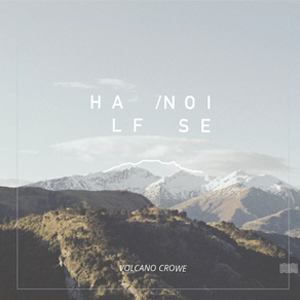 Farro went on to record HalfNoise’s first LP alone with the help of producer friend, Daniel James in New Zealand. The album is filled with sweeping instrumentals that will make you feel like you took the trip to New Zealand yourself. Would this album have made my list had I not been listening to it while working on it? Maybe not, but I can promise that it would have not been very far off. 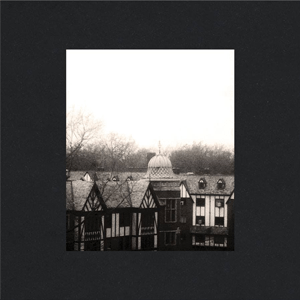 I had put off listening to Here and Nowhere Else for weeks because, up until that point, I wasn’t exactly a Cloud Nothings fan. After reading good review after good review, I finally gave in because there had to be something to all the hype. At first listen, the album sounded a little sloppy and grisly, something that I wasn’t really used to but somehow still loved. There’s so much energy in the fuzzy, fast guitars that you can’t help but feel a little riled up by it all. It’s grunge and punk at it’s best, and even better when you finally listen to the lyrics. Suddenly the chatotic noise rock makes sense when you realize that Dylan Baldi is singing about mental instability, unrest, and heartbreak. 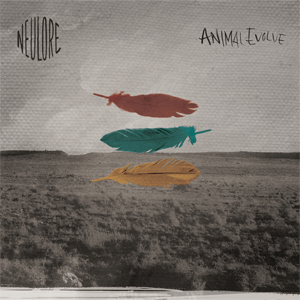 I listened to Neulore’s first LP, Animal Evolve, for weeks after I reviewed it. For me, it was the perfect album for my mood at the time, whether I was working or allowing myself to be completely enveloped in the music I was listening to. The album was essentially just what I needed when it came out. I go through slumps sometimes and find myself with nothing I actually want to listen to, cycling through song after song, album after album before just giving up on music and turning on some bad TV. Animal Evolve was there to take me out of that slump, pulling me back specifically into the folk genre (I listened to a lot of The Decemberists when I wasn’t listening to this album). Animal Evolve isn’t a perfect album but it’s got a nice little punch for the folk genre with a nice indie rock injection that helps keep it fresh and less manufactured than other bands trying to cash in on the tail end of the Mumford and Sons wave. 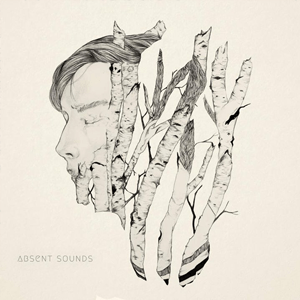 The other album that helped pull me out of my musical slump back in October was Absent Sounds. There’s a lot of potential showcased from this up and coming indie rock outfit. Absent Sounds is complex without overburdening the listener to find a deeper meaning than what’s presented on the surface. While the album isn’t low key, it still seems to be able to calm me as I listen through it although maybe it’s just that the atmosphere throughout each track is so thick that I can’t help but be pulled in and immersed completely in it. The first of four albums on this list that were made better after hearing them live. 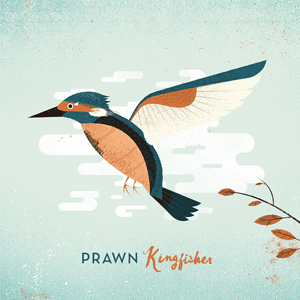 Prawn’s Kingfisher quickly climbed it’s way up to regular rotation in my music collection after I first listened to it. I was never one to shy away from my love of emo (haters be damned) and this is a great little piece of the genre that takes me back to it’s heyday. There is no low point of the album for me, each song is as good as the last. I find myself listening to the entire album when a song comes on randomly, allowing myself to be taken into the wonderful fluidity of the entirety of Kingfisher. 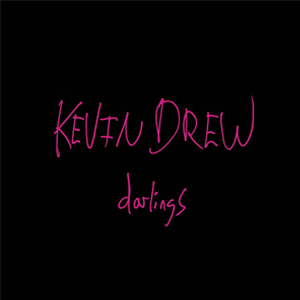 Being a fan of Broken Social Scene, you would think that I would have been ready for Kevin Drew’s first solo album in seven years. Alas, I was late to the party but better late than never showing up. It’s the perfect album to throw on when you want to unwind a little. There are times throughout the album where I’m reminded of Bruce Springsteen and Arcade Fire and, of course, Broken Social Scene. Drew also has a knack for making blunt lyrics and subject matters poetic rather than crass. 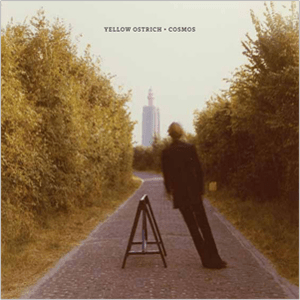 Honestly I hadn’t listened to Cosmos much since I reviewed it back in March. It wasn’t until I started to revisit albums starting at the end of August that I rediscovered my love of this album. 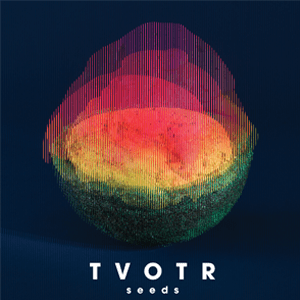 Alex Schaaf and Michael Tapper brought their journeys through the cosmos and sea together so perfectly to craft this album. The listener gets the sense of the wide eyed wonder felt by both Schaaf and Tapper through their journeys, and you can’t help but feel a little awed after you listen through it a few times. Now that I’ve essentially rediscovered the album, Cosmos has a permanent home in my regular music rotation. 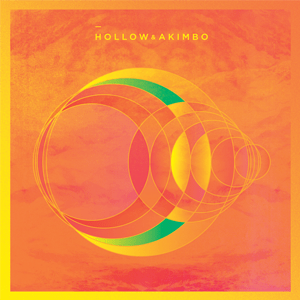 Hollow & Akimbo was released way back in February, but there’s been at least one week every month since then that it’s been playing through my headphones non-stop. One of the reasons I keep going back is because with every listen I hear something new. There are so many musical layers to each track but no song feels bogged down or over produced. What makes the album better is that the Ann Arbor based trio sound just as good live, bringing each song to life beautifully. The guys are already releasing new tracks which gets my hopes up for a new album or EP coming soon. I can’t help but sigh with contentment each time “It’s Only Dancing” starts playing through my headphones, announcing the beginning of Heart Murmurs. 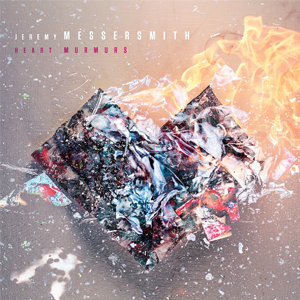 Messersmith is no stranger to the concept album, using Heart Murmurs to explore the various aspects of love. While there’s no shortage of songs on this subject, each track here is taken from a different perspective and told so perfectly through Messersmith’s lyrics that you can’t help but empathize with each song. I was lucky enough to get to experience Messersmith’s live show twice this year and fell more in love with this album with each time. Another late entry to this list, I only listened to Gist Is about three weeks ago for the first time. Perhaps it was because it had a quality that reminded me of the number one spot on this list that made me love it so much. There’s something that I didn’t quite understand the first time I listened to Gist Is but was oddly drawn to. The tracks are long, dissonant and while you can draw connections to other acts like Grizzly Bear and Bon Iver, Adult Jazz manages to stand out on their own. There are times where you’ll find yourself thinking “what is this?”, but really the only thing to do is sit back and let Gist Is take you on a unique and atmospheric ride you are unlikely to experience anywhere else. 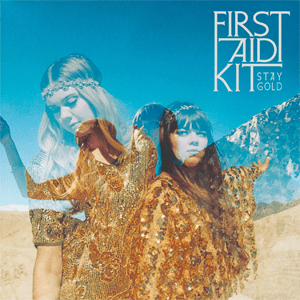 Stay Gold is so cinematic that I feel that there was no way I could resist its pull. The Söderberg sisters show experience both lyrically and musically beyond their years and a knack for Americana and folk that most Americans don’t have. We haven’t even discussed their musical talents or their sublime harmony skills. The backing orchestra creates sweeping instrumentations that will make you feel like your running through golden fields, chasing wild horses. To say that I can’t get enough of this album is an understatement. Another album that I put off listening to until all the hype had me tossing everything else aside so I could see what the fuss was about. I had to put everything else on hold because Lost in the Dream is not an album that you can casually listen to the first time while you do other things, believe me, I tried. I first put the album on at work but found myself neglecting whatever it was that I was working on as I was completely sucked in. Like watching a good movie or TV show, you need to pay attention to each track as they play so you don’t miss anything. You won’t catch everything that first time either, you’ll find yourself revisiting each track to see if there was something that you may have missed and being rewarded with a new idea or theme that reoccurs throughout the album. If you haven’t yet, drop whatever it is you’re doing…no wait, finish reading this post, then go and listen to Lost in the Dream. 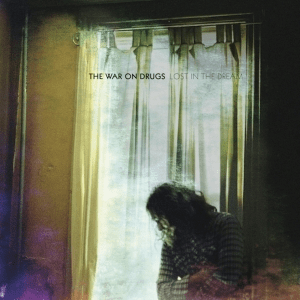 I really need to get my life as music blogger together as this is another album that I let pass me by until I simply couldn’t ignore the buzz any more. The driving beat and infectious claps on opening track, “Quartz”, drew me in immediately and I was hooked. After the passing of bassist, Gerard Smith after the release of their last album, the future of the band was up in the air. Thankfully they came together to create this gem of an album which deals with that loss and the hope for the future. The album is easily accessible to any fan of music which makes it clear why you’ll see it on so many ‘best of the year’ lists. Easily my most anticipated album of the year, This Is All Yours was everything that I hoped it could be. 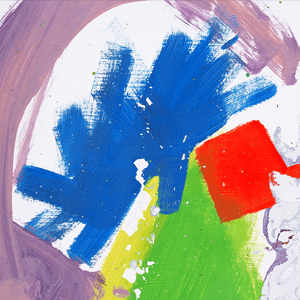 While I missed the driving beats that dominated Alt-J’s first album, An Awesome Wave, at first, it wasn’t long before I was falling in love with the calm, soothing tracks of This Is All Yours. The British trio didn’t leave fans completely void of songs that should be blared at full volume through their car stereos though, “Left Hand Free” may not lyrically make sense but the beat and ear worm of a chorus make it a stand out track. Hearing the tracks performed live with perfectly planned visuals made me love each one more. Both This Is All Yours and getting to experience Alt-J’s live performance helped catapult the band to the top of my favorite bands of all time list. I may not have gotten to listen to every album I wanted to that was released in 2014, but I feel confident that even if I did, most of these albums would have still ranked high on my favorites list.